New Bridge Street serviced offices is situated in a central location between the City and the West End in London's EC4 region. Internally re-fitted to a very good standard, this office space for rent can accommodate a wide spectrum of business sizes making this Business Centre a perfect candidate for company expansions. 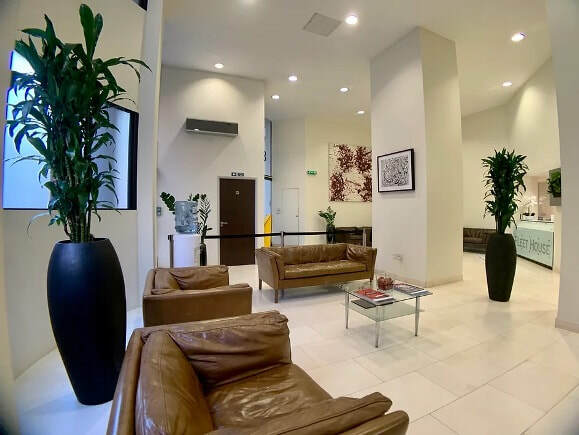 Within the building, offices are fully furnished including telephone handsets and pre-installed with communications cabling enabling a speedy set-up process. Rental terms start from 2 months to up to a year and terms can be agreed to suit a criteria or timeframe. With air-conditioning, Cat 5 cabling as well as many other features this office let also has hot-desking available. Transport is good with Blackfriars and the City Thames link not that far away.